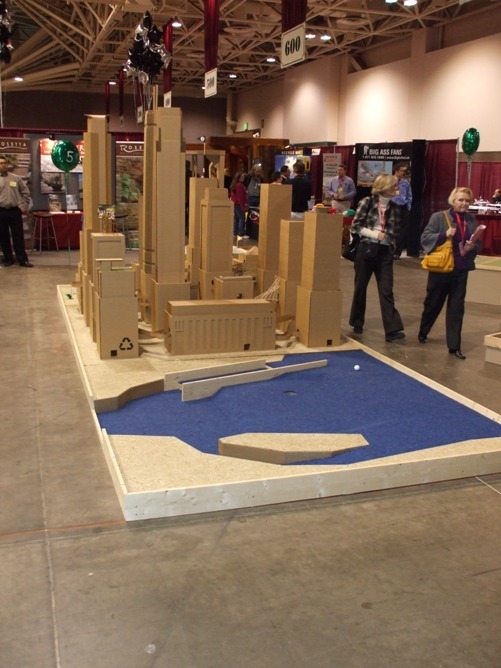 I spent Tuesday and Wednesday at the Minnesota AIA Conference in Minneapolis. AIA Minnesota does a fine job putting together the conference. 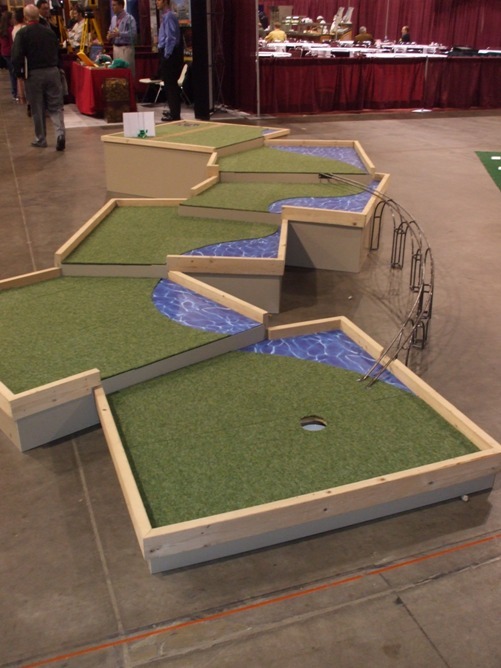 Here are some shots of a few of the mini-golf holes designed for the event; not your run-of-the-mill holes, are they? But, it’s not fair to show only the fun at the convention. The bulk of my time was spent on the serious (and fun) business of architecture, continuing education, and keeping up with the latest products and services available in the building industry. Tuesday morning started with a course on ethics in the profession. The speaker compared the AIA’s code of ethics with that of the Bar Association and the Medical Association. Interestingly enough, the AIA’s code didn’t shine in comparison; this actually ticked me off. Fertile ground for more development. Anyway, part of the discussion dealt with whether architects should be licensed. Yes, the speaker suggested, the science of architecture should be licensed since that aspect deals with health and safety. 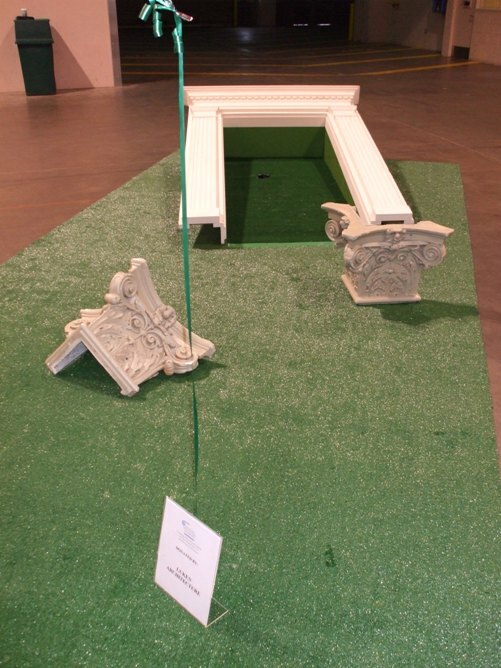 No, the art of architecture should not be licensed, because art must transcend the scientific. Very engaging conversation, just the stuff to get me going in the morning. Next I attended a review of energy-efficient masonry wall design, just the technical stuff that should be licensed. Mayor RT Rybak spoke briefly at the AIA Members’ Congress and we heard from the president of the AIA, too. The luncheon proved to be a fine time to reconnect with past co-workers and colleagues. Then we heard from Robert Ivy, editor of Architecture magazine, regarding the state of architecture worldwide: it is the best of times and the worst of times. 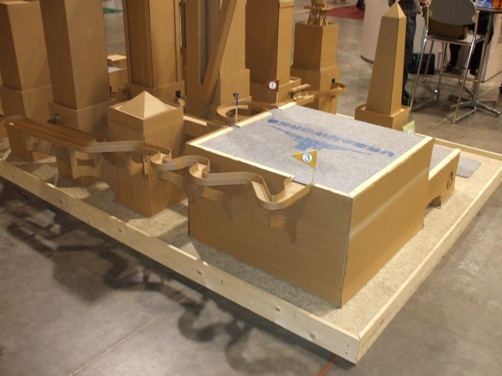 Wednesday was filled with models of architectural practice, Minneapolis’ zoning changes to resist “monster homes” (upon which I’ll post later), modern eco-homes, and a chance to visit with suppliers and manufacturers on the exhibit hall floor. It was a welcome opportunity to learn more about how to serve you better, from the technical to the artistic.